Quality tips for buying a used car can be hard to come by, but if you follow our guide you will be on track to maximise your money and buy a great second-hand motor. 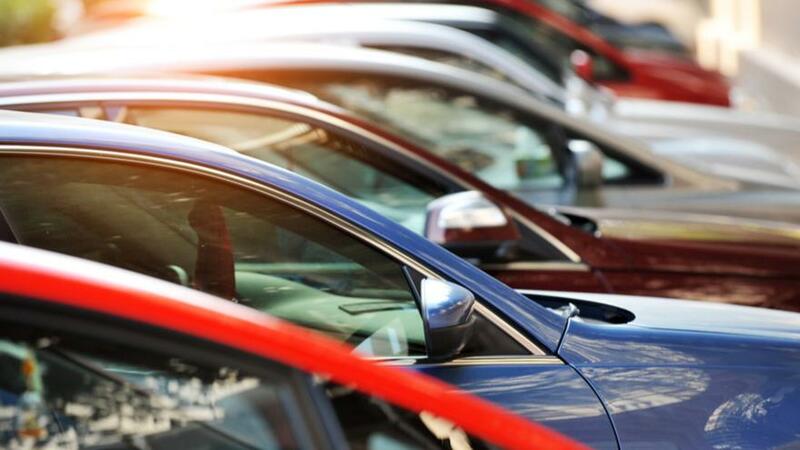 The best advice when buying used is to look for cars which are around three years old, as many new cars are bought on finance which runs out at about this period – meaning the supply of used models is plentiful and prices should be attractive. The most severe depreciation of a car usually happens during the first 12 months of it being bought, so the previous owners of a 3-year-old car will have taken most of the hit, too. A popular mantra is “buy at three-years old, sell at five”, which makes sense as a rough guide. You aren’t going to get stung by a massive drop in value through depreciation, yet you should still be safe from any high-cost maintenance jobs, such as a cambelt change (which should still be a couple of years away). Indeed, recent statistics compiled by UK warranty providers confirms that it’s at five years when reliability tends to drop off. So if you’re in the market for a used car, then this is a good starting point in terms of what to look for. Of course, not everybody has the budget to be able to look for a three-year-old car, and our guide gives good advice on what to look for with any potential used car purchase if you are looking for used cars in Southport? The easiest way of researching used car prices is to head online. Here you’ll get a good gauge on whether you’re paying over the odds for a used car, and with plenty of cars available, you don’t have to rush into buying a car if you don’t think it’s quite the right one for you. If you’re looking at mainstream models, then there will always be plenty of examples on offer if the price isn’t right. There’s no point attaching any value to the pile of papers that comes with a used car if you’re not prepared to check them out. Start by making sure the listed keeper is selling the car from the address stated on the V5C logbook, then check the logbook registration and chassis numbers against those on vehicle. After that you can start looking for any discrepancies in the service record, determine whether the cambelt needs renewal (this can be an expensive job on some cars that need it replacing), and check sales receipts that prove ownership and the end of any finance agreements. Rain on paintwork can hide a multitude of sins, as will streetlamps or torchlight, so try and look at cars in good weather, and definitely inspect them in daylight. Take your time to look over every panel, and all the trim surfaces inside. Older cars are bound to have the odd scuff, so of more importance will be to make sure all the switchgear and accessories work. Do the electric windows all open at the same speed, and does the air-conditioning blow cold? It’s vital to be assured that the car drives and handles correctly, and performs as you would expect. Does the car start easily? Are there any unusual sounds from the engine or brakes? Does the steering pull to one side? Is there any telltale smoke coming from the exhaust? 6. Is everything included in the price? Check under the boot floor to see if the spare wheel and/or repair kit are in place, the original jack and tools, plus locking alloy wheel nuts, the vehicle handbook and spare keys. If any of these are missing, it could cause significant grief – and they’re all expensive to replace. When you’ve agreed a price and are going to buy a car, make sure terms are agreed in writing, with a receipt that both parties sign and keep a copy of. It should show vehicle details, price, and terms of sale and both the seller’s and buyer’s name and address. If you’re buying through a reputable dealer there should be no concerns here, but it’s worth repeating the obvious advice about paying for a car in a private sale. Be careful about taking large sums of money to pay for a car. If possible, use a banker’s draft or a money transfer. Never take cash to a meeting place that isn’t the seller’s home address. We’ve covered the basic tips on how to buy a used car above. Unfortunately, not every seller is completely above board and not every car is as it seems. That’s why we’ve prepared this guide to help you avoid the worst of the second hand car buying pitfalls and scams that can leave you out of pocket. These are some of the worst-case scenarios that can trap unwary buyers in the second hand car market, but with care the risks can be avoided. Clocking is the criminal practice of misrepresenting a used car’s mileage by tampering with the odometer on the dashboard. It’s done simply to hide the true mileage of a vehicle in order to increase its value on the used car market. Our guide to car clocking and mileage correction will tell you more. Cloning involves fitting a car with copied number plates from an identical vehicle, usually either to hide the fact a car is stolen, or in order that criminals can rack up speeding fines and parking tickets in another owners name. Cut-and-shuts are welded together from the remains of two (or more!) accident-damaged cars of the same type, and presented to buyers as one original – undamaged – car. Excessive stone chipping to panels at the front of the car can indicate very high mileage. Significant wear to the driver’s controls – a shiny steering wheel, pedal rubbers, indicator switch markings – suggest heavy usage. Worn out seat squabs and chafed seat belts are giveaways too. Many of these signs can be easily masked by touched-in paint or replacement trim parts, so it’s vital that you check the mileage history on service records and other documents. If you’ve any doubts at all, don’t be shy about contacting previous keepers listed in the logbook. For more information read our investigation into car clocking. There’s an easy way to avoid buying a cloned car, and that’s simply by checking that all the numbers match up. Check that the number plate on the vehicle you’re looking at matches the number on the V5C logbook. Check that the VIN/chassis number listed on the V5C logbook matches the VIN plate on the car itself. Nowadays you can usually find the VIN plate at the base of the windscreen, but on older cars the VIN plate can be inside the driver’s door jamb, or under the bonnet. To carry out the checks, you obviously need to be looking at a used car that has a V5C logbook. If the vendor can’t show you this vital document, that should throw up a warning about the car in the first place. Both of the above point to accident damage, but not necessarily a cut-and-shut. However you needn’t be too cynical, as experts reckon there are about 30,000 cut-and-shuts in circulation. This sounds a lot, until you remember that well over 7 million used cars are sold in the UK every year.